Fall is right around the corner, and before you know it, the time will come to ditch your shorts and sandals for cozy flannels and leather boots. If your closet is lacking fall essentials this year, get back up to speed with our go-to’s for this season, featuring our new Fall 2018 Collection. From crisp Non-Iron shirts to dark-wash jeans, these items are an essential part of every man’s fall wardrobe. 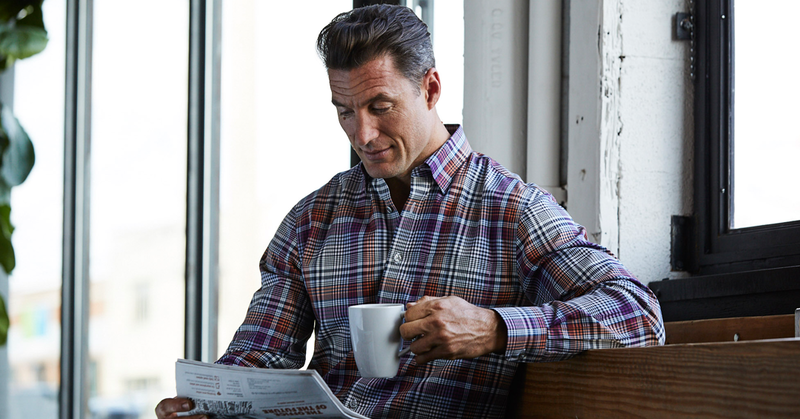 From 90’s grunge to the modern working man, everyone needs a classic plaid shirt in their wardrobe. The versatility of a plaid shirt allows you to dress it up or down. For a more casual look, go with straight leg jeans and sneakers. If you’re wanting something a little more elevated, opt for a pair of tan chinos with brown leather dress shoes or sneakers. 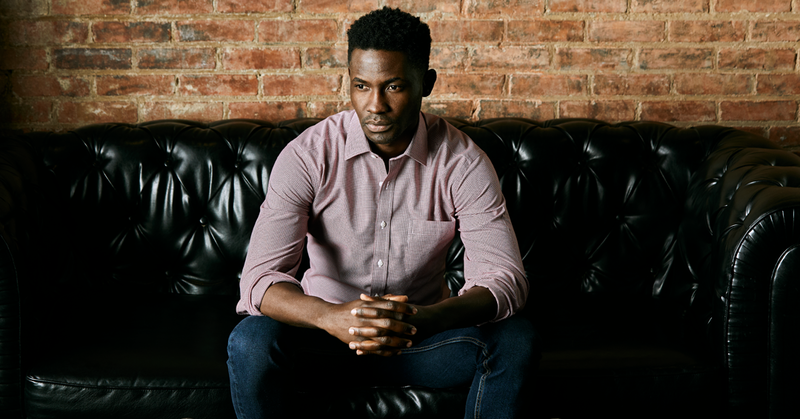 The Humphrey’s Casual Shirt is the perfect example of men’s non-iron shirts for fall. The deep red color is ideal for this time of year, with just a touch of grunge that's still office appropriate. In a sea of men’s non-iron shirts for fall, stand out in a crisp, white shirt with a subtle pattern. Try this look out with a black blazer and dark tailored pants to change it up from the norm of wearing deep fall colors. The Fairfield Check Dress Shirt meets the mark with a nice contrast of a black check pattern against the stark white fabric. Meet your new go-to look for the office. Give your classic blue jeans a rest and try on a pair of casual khaki pants in neutral tones like navy or tan. A pair of neutral pants can complement almost any shirt you wear it with, and the 100% cotton material allows you to be comfortable throughout the entire day. The best part? The Pleated Front Performance Non-Iron Cotton Khaki Pant is made with the luxcare wrinkle resistant technology we’re famous for, so you can stay wrinkle-free from head to toe. Every man needs at least one good blazer that he can wear with just about anything. From keeping it casual with a t-shirt and jeans to dressing it up with a dress shirt and tailored pants. A blazer lets you express your individual style, no matter the occasion. No look is quite complete without a good quality leather belt. Both functional and stylish, a belt can be the one piece that makes or breaks your whole look. With that in mind, especially if your shirt is tucked in, don’t be caught without one. Don’t forget to match it with the color of your shoes. Denim should be a staple in everyone’s wardrobe. Skinny jeans, distressed jeans, you name it, and most men probably have it. If you’re looking for a more elevated style, though, always reach for a dark-wash straight leg jean. Throw in the blazer we mentioned earlier with your favorite button up and leather sneakers for the perfect elevated weekend look. Taking that few extra minutes to add a tie to your look can make all the difference, even if it’s just to wear it to work for the day. It’s an easy way to add a little extra something while expressing your personality and style. Trade in your sneakers for a pair of leather boots this fall. Whether you’re more of a chukka boot or chelsea boot kind of man, both trendy pairs go great with jeans or chinos. Neutral colored boots go with everything, but if you’re feeling adventurous, take it a step further and try out a pair of black boots. The versatility allows you to wear them to work, out on a date, or just hanging out with your boys.